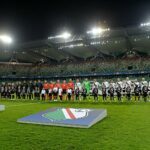 For their first Champions League group-stage match since 1995, Legia Warsaw fans knew they had to do something special. And they did so by marrying pyro with tifo in an intimidating display. 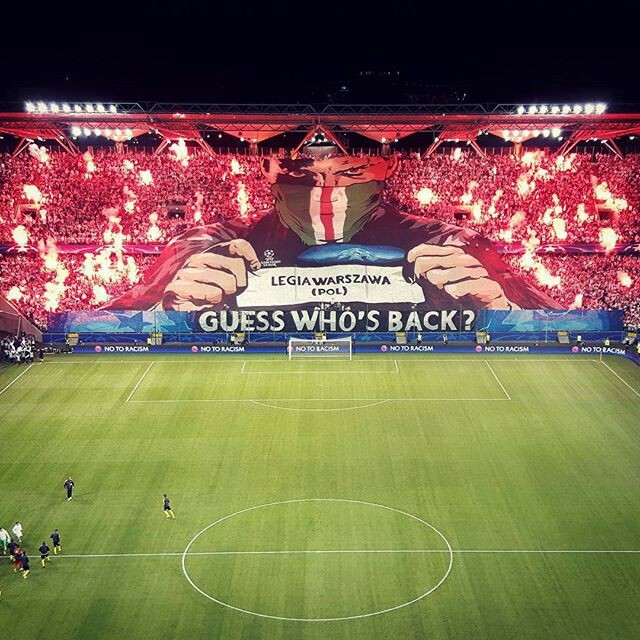 Above a banner that read “Guess who’s back?” Legia fans depicted a masked ultra holding up the club’s card from the Champions League draw and surrounded by flames. This imposing welcome didn’t do much to throw visiting Borussia Dortmund off their game, however. The German side quickly took a 3–0 lead within the first 20 minutes of play. UPDATE: Legia fans went on to have a pepper spray fight with stewards. This is how you get banned from the competition immediately after ending a 20-year absence.